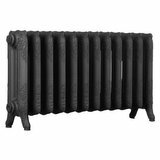 Quality cast iron radiators made in the Art Nouveau style popular in the early 20th Century. Manufactured using traditional techniques and guaranteed for 10 years. Stylish design with subtle scrollings. Simple lines offering timeless elegance. Would enhance both period and contemporary interiors. Two large columns providing great heat output. 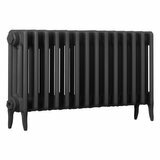 We took delivery of 2 of these radiators last week and although we are not ready to plumb them in yet, we are delighted with the quality and how stylish they are considering they were only ordered from an online photo. The website made ordering simple and the communication with the despatch team was very efficient. Delivery was as scheduled despite us being quite rural up a narrow lane and the driver was polite and helpful. One of the valve nuts didn’t tighten properly on inspection after delivery, but within 48 hours of reporting this over a weekend, a replacement one was delivered. 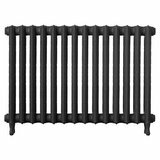 I would have no hesitation in recommending the Cast Iron Radiator Centre. We're pleased you would like to review Art Nouveau 2 Column 750mm Cast Iron Radiator. The website was easy to navigate with regard to selecting the style and configuration of the radiator. We were kept informed of the delivery status and it arrived on time - although a twelve hour delivery window given by the carrier was not so helpful. The only downside to the website is the colour reproduction, what we thought we were going to get wasn't quite what we saw, so that's the caveat - if you can go and have a look at the finishes in the flesh. Radiator looks great and arrived in good time. Staff very helpful with arranging g delivery etc. Not had any issues with the radiator and fittings so cannot comment on how problems are dealt with. Once again very happy colour wonderful short wait till arrived no concerns will look fab when fitted. Fantastic after sales. Coudnt be more helpful. Lovely looking radiator. What a beautiful radiator. I have not yet fitted it into the bathroom however if it is as warm as it is aesthetically pleasing it will transform my bathroom entirely. Absolutely love my new radiators. A really helpful guy went through all the radiators with me to double check before I ordered that everything I needed accessorie wise for the radiators was there, and when they arrived which was quickly compared to other companies lead times on this type of product we were over the moon, the rads definitely have the wow factor. Would definitely recommend to others and will buy from you guys again when needed. Thanks. Good product, good value and well priced. I have ordered 4 radiators over two orders and not had any issue. Although kerbside delivery once order was placed I was able to intercept the delivery schedule and collect from local haulier. Very happy with service and product so will be back to order more once decorating my next rooms. The sales staff were very helpful, and the delivery process was painless. The radiator came sooner than stated, which has got to be a first! It is a very nice product, well-made, heavy!, and will look great in our hall, once I've got it plumbed in! The whole process was quick and hassle free. The radiator looks outstanding and is a beautiful centre piece in our dining room. We also bought the Bentley valves which really do finish the look. Highly recommend the service and product ! We shall be ordering more for the rest of the property. 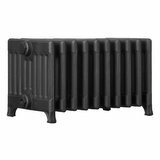 The units were delivered in good time and by a good delivery carrier the radiators are excellent quality and we love them, they give out such a lot of heat compared to modern radiators, but we do have a Victorian House. Review by: Tiziano - Northern Italy. 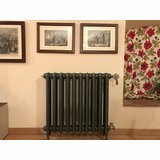 I had seen in the internet the radiators of cast iron radiator center, I liked them and I decided to buy them online, I must say that they were very kind and understanding with me, excellent prices and fast delivery, now they are in my home in northern Italy, Thank you very much! 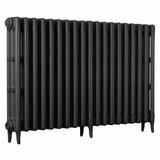 Excellent service, easy to order, was called about delivery then it was delivered on time, excellent radiator, looks fantastic! Brilliant rad. Looks really nice in my house. Have fitted these before and they do get really nice and hot. Will definitely but again. I have used this firm twice. Both occasions the product and service have been excellent. Great price. Excellent customer service. Kept well informed of every step following my order. 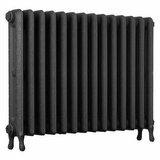 Bought 3 radiators 2 gun metal grey art nouveau and 1 white linen, 3 column and all look stunning. Found on line ordering simple, technical sheets useful for me to share with plumber who installed them. They are excellent value, couldn't find cheaper and we spent lot of time researching first. Have recommended to friends and family who always compliment them now fitted into our new home. Would use again. Absolutely excellent product and service. We were kept up to date on production and delivery. Very very happy with the radiator, it looks fabulous and it is really hot!! Will definately use this service again. 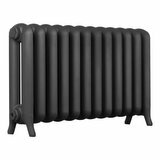 Really great radiator - looks great and gives out a great heat. Room transformed. But very heavy to move around so have someone to help you when it arrives. Really happy with it. Thought this radiator would look alright in my newly refurbished living room. I was wrong. It looks fantastic. All credit to the skills of the men or women that created it. Thank you very much. Looks even better than expected. Satin black with antique brass fittings looks fabulous. Service was friendly, helpful and efficient. Would definitely recommend! Beautiful radiators and a great service. Thank you. Lovely products would recommend and certainly buy from you again . We initially ordered our cast iron radiator in gunmetal grey for our new hallway/porch - once in situ everyone coming in to our house commented on how lovely it looked. We always knew we were going to put similiar radiators in our kitchen and inner hallway. They have just arrived and they look wonderful - we are just waiting for them to be fitted, can't wait. 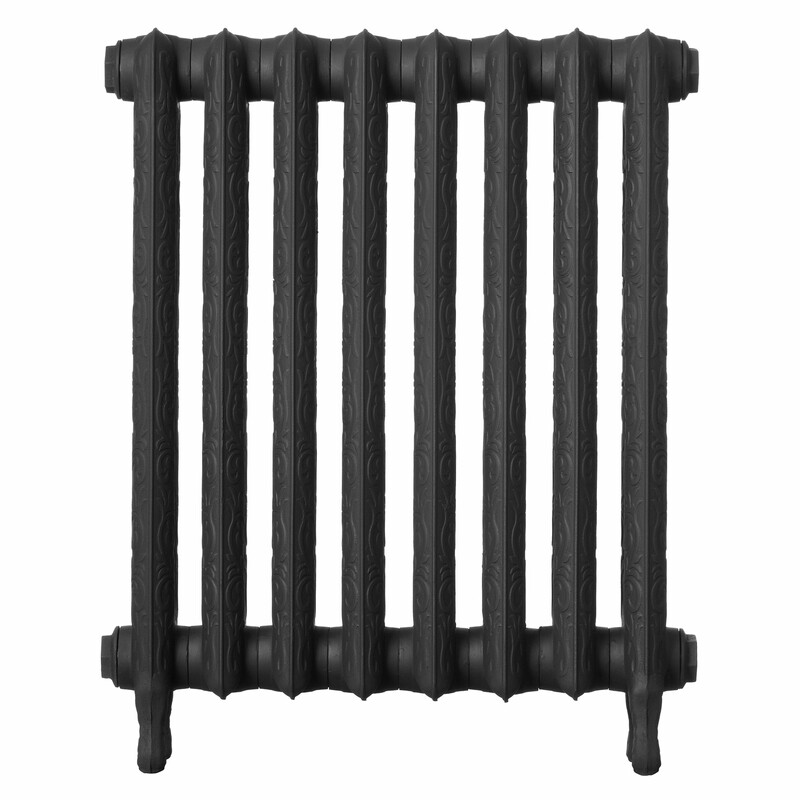 The service we received from the Cast-iron-radiator-centre was very good and all went to plan. The courier contacted us as expected and delivery was straight forward. The radiators though small are quite heavy (especially the 9 column) but we used a 'porters' trolley to bring them up the drive so we managed perfectly well - they would be heavy for one person to manage so arrange to get help. 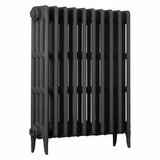 Having said all this the radiators seem very good value for money - they look solid and good quality and the patterning design is not too fussy. Delivered within time stayed, well packaged and bronze art nouveau radiator looks absolutely stunning- will be a real feature in the hall ! 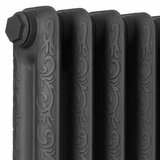 Beautiful radiators - they are works of art! Bought 4 so far and we are gradually changing all in our house to these. They also use an excellent courier company who brought radiators into the house for me. Cannot recommend highly enough! 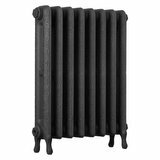 Thank you for the Review & for the repeat orders for our cast iron radiators. Pse note that although it was great that the courier assisted you with getting the radiators into the house, we need to point out that delivery is kerb side or nearest hardsatnding only & that susch assistance cannot be guaranteed for all deliveries. However, we are working with our delivery partner to offer a 2 man delivery service in the near future. We will keep you all posted on this. Great Style with lovely detail just what we wanted, will look even better when they get fitted. Had them sprayed in gun metal grey would recommend. Lovely radiators arrived on time with no drama. People were very friendly and helpful when I called then, couldn't ask for better service. Will definitely be ordering more when we renovate the next room. Would recommend very highly. Extremely happy with the product. Just waiting for my extremely busy plumber to fit. Will send additional review when operational. Extremely pleased with everything. The radiator looks stunning, as well as the valves. I am not one to go on about this sort of stuff, but I spent a lot on this, and I am extremely pleased with the outcome. It sets my new country kitchen off well. Above all else, my wife loves it, which in the end makes my life easier!!! Postage was expensive, but the weight of the thing explained all. Delivered when they said it would be. I can find no fault at all. I have another project planned for 6 months time. Will use this company again. The radiator is perfect for our hallway. The physical size for the btu output is vey good and it looks great. 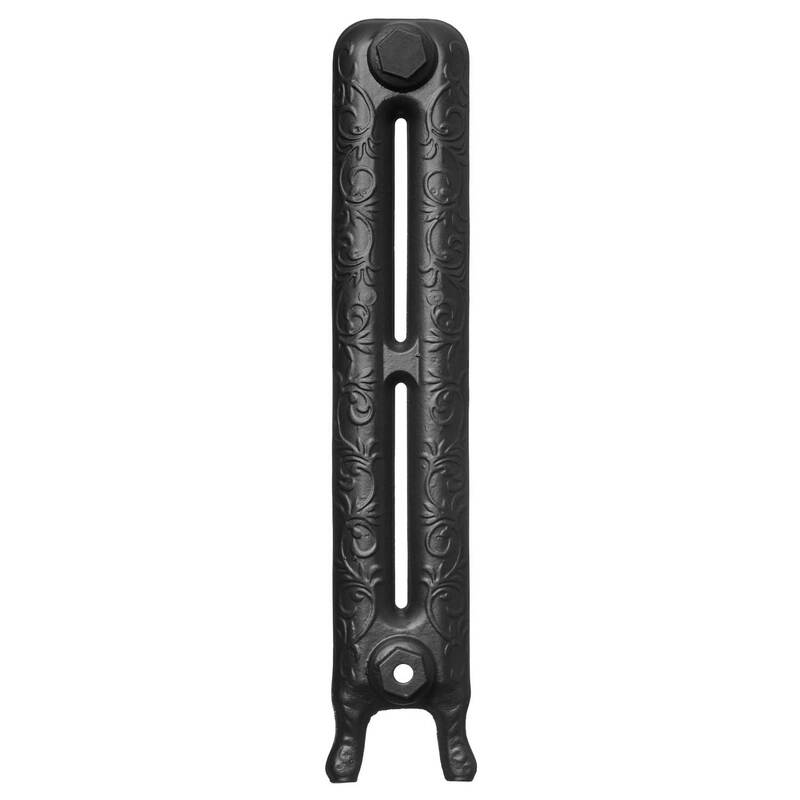 It was easy to install and there are no leaks and to cap it off, it was a really good price. Fabulous great quality Rads, Very Happy, Thank you!!! What a fabulous company to deal with. They responded to emails swiftly even in the evening, answered all my questions before purchase and bent over backwards to accommodate . 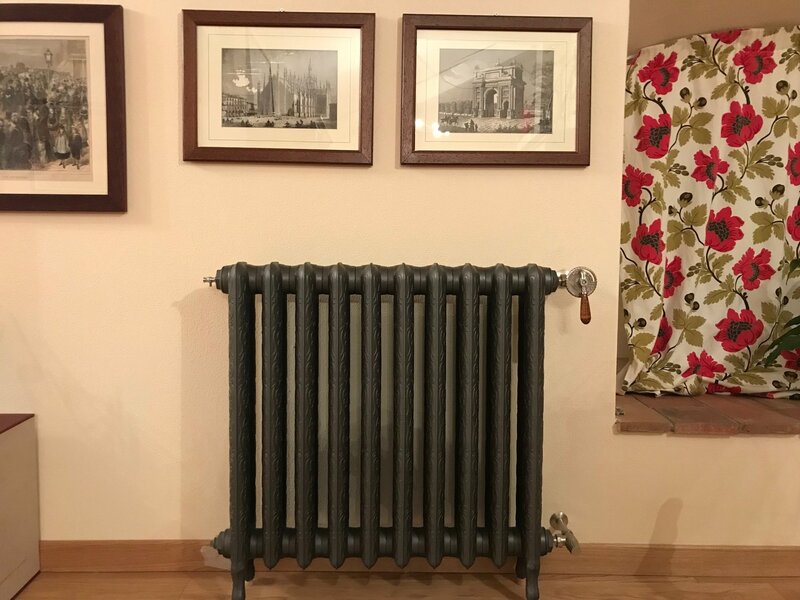 The radiator itself is perfect for my newly refurbished Edwardian bathroom and I am very pleased with the quality and finish. many thanks. 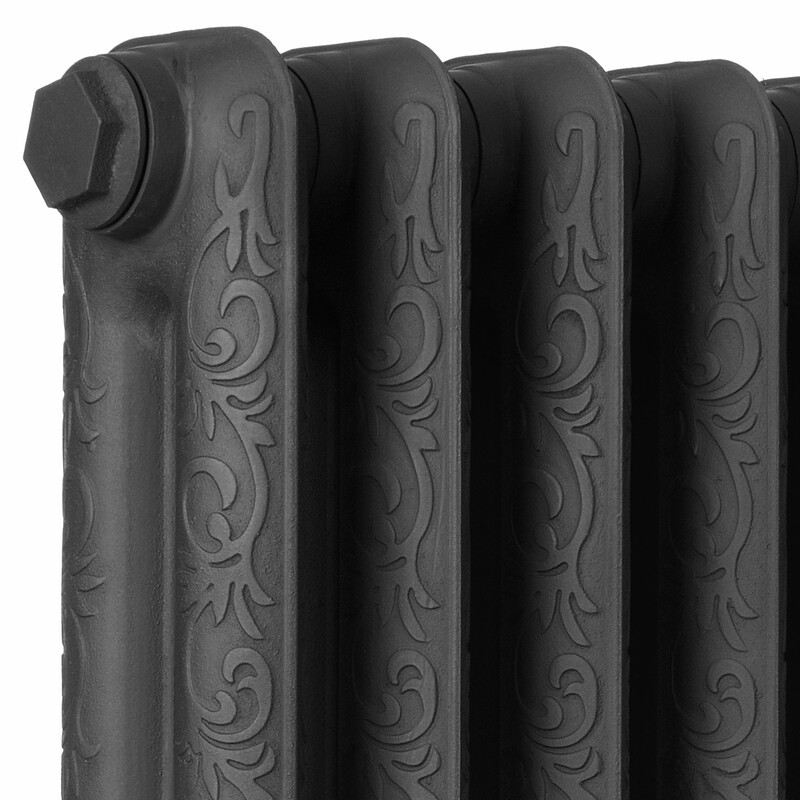 The quality of the cast iron radiators makes them worth every penny. Iv brought 3 now and they look amazing. Well worth it. 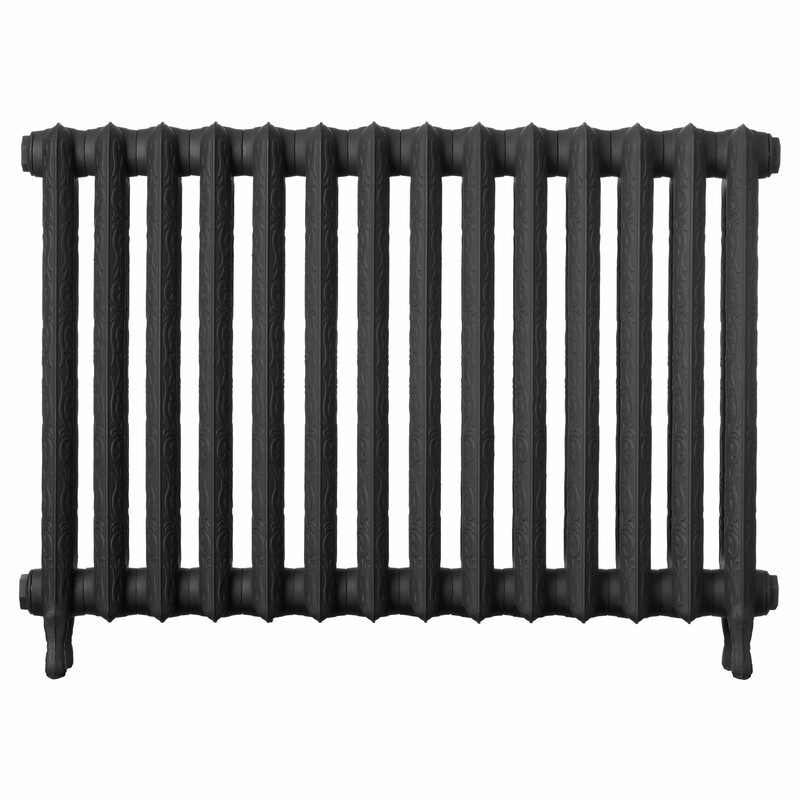 We researched a lot for this product and after reading reviews we went for your radiator. After ordering it arrived promptly. I had read the courier instructions about kerbside delivery but even so I was disappointed with the drivers attitude. I live on a busy main road and would have hoped that with the weight of the radiator he could have helped me to move it the 10 metres to my front door. As he wouldn't I decided to open it on the main road to inspect the contents. He commented that he didn't understand why your firm instructed this which I found strange. Once I was happy with the contents he climbed back into his van planning his next drop for the following 5 minutes whilst I struggled to stand the radiator up never mind move it. What would have taken two men a minute to move took me the best part of an hour to move on my own. It had to be moved immediately as I had almost £500 of merchandise sat on a busy main road. A week later the radiator is installed, looks and works fantastic. To sum up I am made up with the product but my overall experience has been soured by your courier's driver. I would suggest that maybe you should look at alternatives as after all I did pay £50 for the privilege and expected better. Thanks for a great radiator. Thank you for the review and we are pleased that you love the radiator. Regarding the delivery, we do try to make sure that all customers know it is a strict kerb side delivery so that they can make arrangements to have assistance available for when delivery takes place. In fairness to the driver, he will be under strict instructions to adhere to this policy for insurances purposes to cover both the customer & himself. We hope that the delivery service was as stated on our website and we try to be completely transparent about the service availlable. We have looked into alternative services involving two person delivery, but this has proved to be extremley expensive. May we take this opportunity for taking the time to comment and thank you again for choosing us for your purchase. 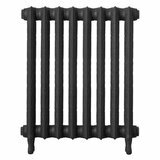 Regards, The Cast Iron Radiator Centre. Very pleased with the quality of this and the price. It has transformed the bedroom and is a real feature rather than something to hide. Note - these are VERY heavy and some careful planning was required to manouvre the radiator upstairs. The service was also great and delivery was on a pallet and well packaged to avoid damages. Will definitely buy again when we start on our next room renovation. Really pleased with purchase and fast delivery. 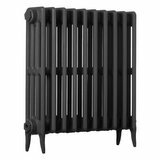 I bought 2 radiators a couple of years I'm a returning customer as the service I received was first class. 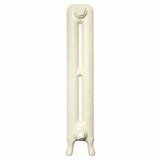 I'm a heating engineer by trade so I have the opportunity to source this type of raditor from different suppliers. 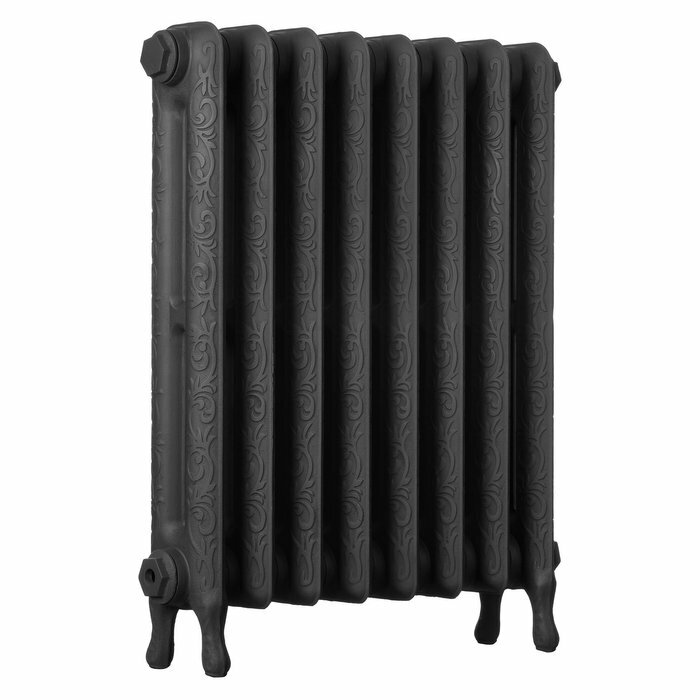 I always recommend cast iron radiator centre when asked for this style of radiator. Not yet connected but in place and looking very good. Customer service good and efficient (exactly as it should be). Happy to recommend. The radiators look great, but they are extremely heavy and we struggled to get them indoors, consequently we scratched the paintwork on the feet, so need so touch up paint. Not had them fitted yet. I was really impressed by the ease of purchase and the speed of delivery and the communication. The courier contacted me to arrange delivery and we agreed a mutually convenient date. I asked if they could call half an hour before arriving to ensure there would be someone in and they did. The product is excellent and great value for money. The web site was easy to follow and I can highly recommend this company. Compared to all the other web sites I visited this was by far the best. The radiators are absolutely beautiful, the pics don't do them justice. Very well priced for such a good quality product. I would recommend you to everyone. This radiator looks stunning in my hallway, lovely design and colour. very nice product good speedy service would recommend company. I am very happy with my choice. radiators are brilliant for the very good price. I rang few times to discuss details and staff was very helpful. Radiators were delivered from UK to IE for very reasonable price and extremely quick. Would really recommend to everybody! Bought two rads,one on line and one over the phone.Excellent and friendly service.Received both a week later! Would use again and recommend this company highly. Goods were exactly as pictured and as described. No delays in delivery, no damage on receipt. The radiator is very heavy and came on a small wooden pallet, requires two persons to safely lift, especially up stairs. I cant comment on its operation as it hasn't been connected to the heating system yet. 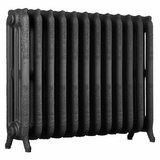 Overall I am delighted with the buy and recomend for those looking for an autentic looking period radiator. 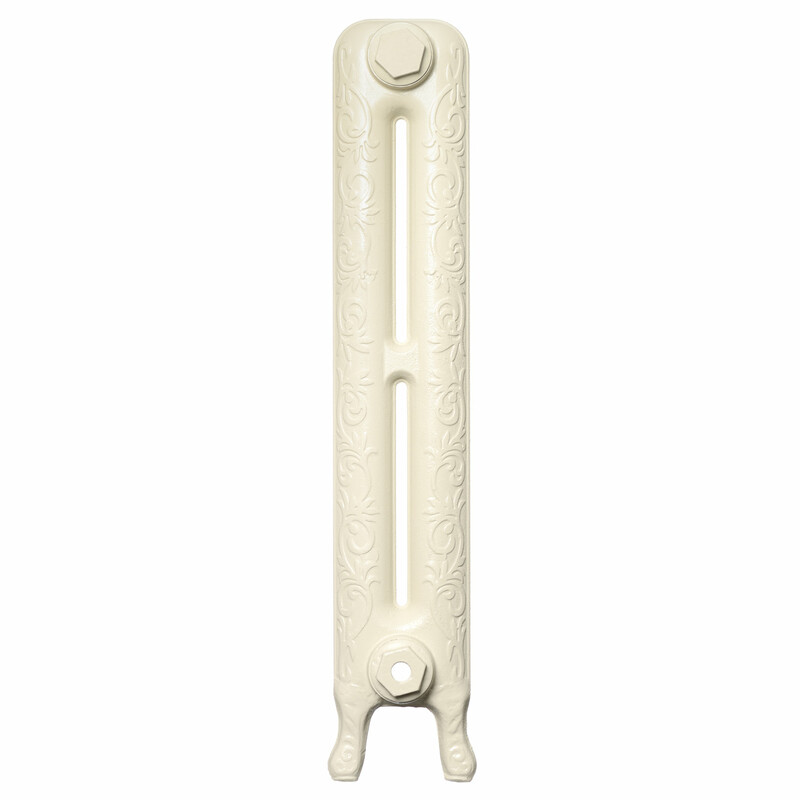 We bought 4 art nouveau radiators including 2x17 section radiators that were made to order. 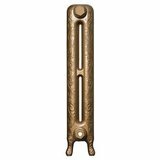 Radiators and bentley antique brass TRVs arrived with a couple of weeks which was impressive. 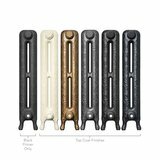 They look great in gun metal grey and the brass vales are an exceelent finishing touch. Plumber fitted them last week and they look superb. We have a period property and the radiators look like they were in place when the house was built which is exactly what we were looking for. Having looked far and wide at ,any different companies who make cast iron rads, these are the cheapest by miles and yet the quality is excellent. Great looking radiator and it works beautifully. Art Nouveau Cast iron radiators. 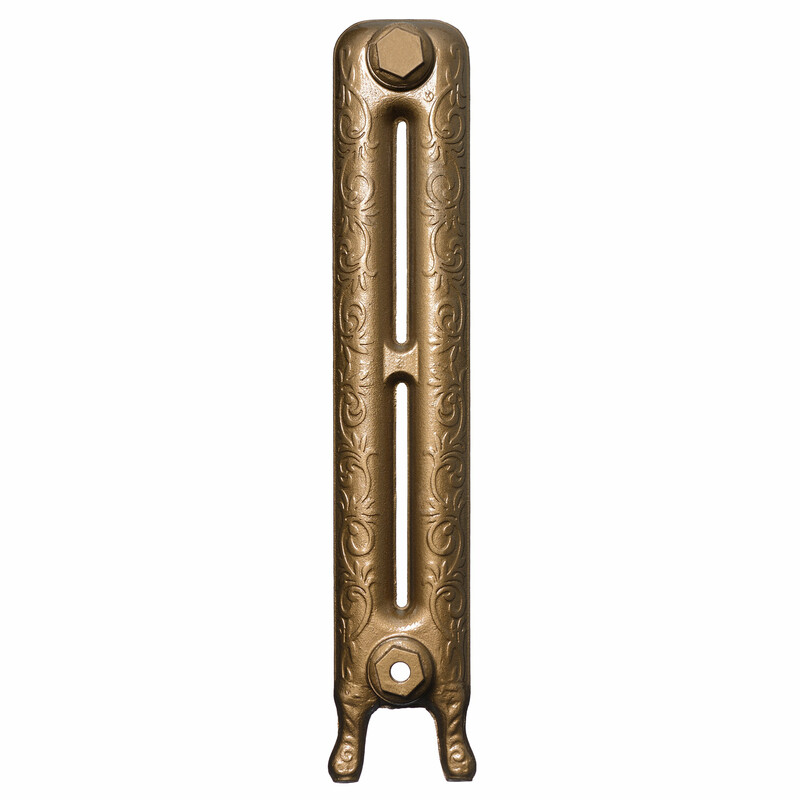 Bespoke Art Nouveau cast radiators. Re: Bespoke service 15 & 6 rib Art Nouveaus in Old White Top Coat. Recieved the radiators today just want to say thank you for the fantastic service you provided, the radiators are amazing. I've purchased three radiators from **Name of which witheld by ourselves** before finding out about you,paid double the price and received shoddy service. It's not very often I deal with a company like yourselves everything was excellent . 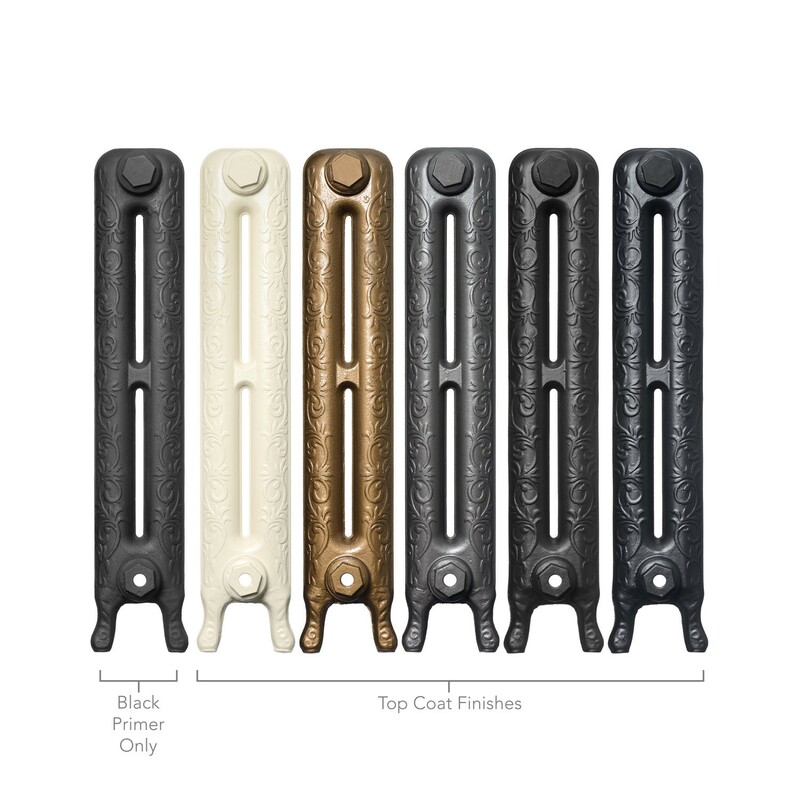 got this cast radiator (art nouveau 11 fins) painted in the gun metal paint. really pleased with the radiator finish & time it took for delivery - less than 8 days from order. wall stays a bit fiddly but got there in the end. Radiators arrived yesterday, look amazing. So good in fact that I've had to order another. Thanks for the speedy and efficient service. Received the radiators last Friday sorry have had a busy weekend!! Hoping to get them plumbed in sometime this week if the plumber ever gets back to us. Just wanted to say fabulous really gorgeous. delivery of my radiators and to say how fantastic they look in my daughters bedroom. I received my radiator this week and feel that I should mention how happy I am with the product. It is manufactured to a great standard, together with the Bentley valves it looks fantastic in our hall as a feature. The speed of delivery and quality of packaging along with the amenable delivery driver all lead to a top notch service. These are a great alternative to the larger version and give that bit of extra space in narrow hallways.